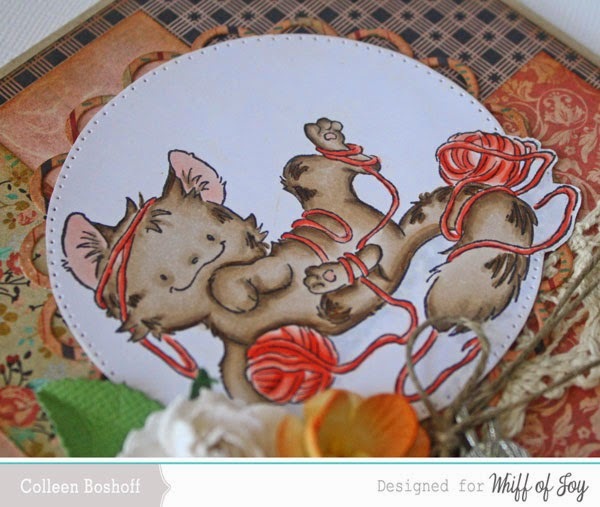 Hello everyone, I am back with another card, this sweetie is WOJ's 'Close Knit Kitty'. The cute little ball of wool and knitting needles charm is WOJ, flowers are Wild Orchid, button and lace from my stash, the sentiment is WOJ's 'Birthday Phrases' and the twine is WOJ's 'Vintage Linen Button Twine'. Absolutly fantastic cardcreation, veyr sweet image and lovely details,love it!! !